Join Northwest Art & Frame this Saturday, May 2 from 11:00am-2:00pm for the Baggallini Trunk Show! New Spring colors and styles will be available and don’t forget…Mother’s Day is May 10th! 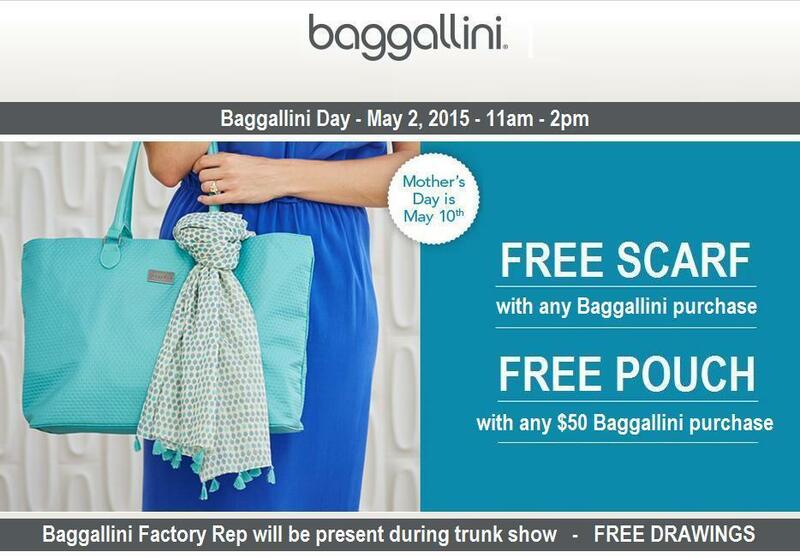 – FREE SCARF with any Baggallini purchase! – FREE POUCH with any $50 Baggallini purchase! – FREE DRAWING GIVEAWAYS during the event!